The temperzone UC8 Unit Controller provides system protection functions such as coil frost protection, de-icing, high head pressure and low suction pressure cut-out. It also protects against rapid cycling of the compressor(s) and loss of refrigerant. Various methods of head pressure control (or limiting) are employed in temperzone units. The particular method used varies from model to model, but is also handled by the Unit Controller. In combination, these features deliver optimised performance across a wide operating temperature range. 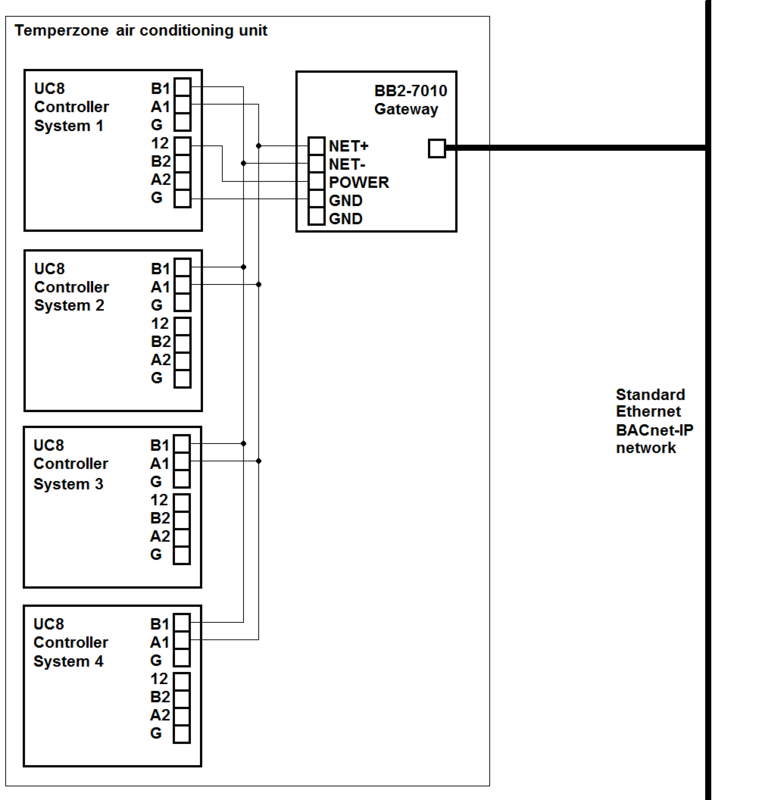 UC8 Controllers have been progressively introduced into temperzone air cooled and water sourced models from 2015, replacing the previous UC7 Controllers. Factory installed in the outdoor unit, the UC8 communicates with the IUC located in the Indoor Unit. A wall mounted room temperature thermostat, eg temperzone's SAT-3, can be connected to the UC8 or IUC, whichever is closer. UC8 Controller information may be found on the individual product info pages (for relevant products) under 'Related Items of Interest'.